You establish a vision for the future of your business, and Print Solutions establishes the marketing strategy to get you there. 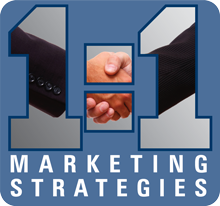 Print Solutions provides 1:1 Marketing Strategies to concentrate the time and money you spend on marketing to ensure that your message is seen and heard by the individual or audience that you are specifically targeting. In the technology-driven age of constant change, our Marketing Team will keep you informed of the latest offering and opportunities to help you focus your efforts to maximize the return on your Marketing Investments. By investing time to know and understand your specific business strategy, Print Solutions will partner with you to establish or improve your presence in the marketplace. From idea creation and design, to putting your messages in your customer's hands, Print Solutions Marketing Team will guide you to great returns on your investment. your investment produces results you're looking for!